The limited edition Royal Enfield Classic 500 Pegasus was sold out in under three minutes of the commencement of the online sale. Royal Enfield themselves are surprised by the response to the special edition motorcycle with all the 250 units sold in a matter of minutes. The Royal Enfield Classic 500 Pegasus was launched in India on May 31, 2018 at Rs 2.49 lakh, on-road Mumbai. Only 1,000 units are built out of which 250 were allotted for the Indian market. 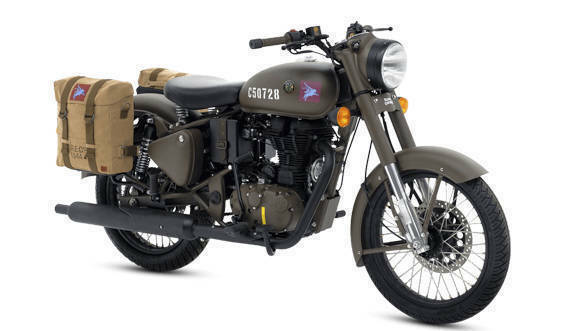 Inspired by the Royal Enfield RE/WD 125 aka the Flying Flea, a motorcycle that was used by the armed forces during the World War II, the Classic 500 Pegasus Edition showcases the company's rich legacy. It was deployed behind enemy lines via parachutes and onboard the Horsa Glider to provide communications support along with acting as a quick mobility platform for the forward units of the Airborne Pegasus Over 4,000 were deployed across various theatres of war, including in Normandy during D-Day. 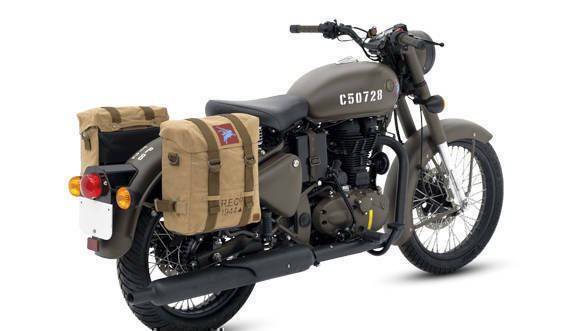 It is based on a standard Classic 500, however, there are special elements like the brown shade, canvas panniers, Pegasus motif and serial number that is stencilled on the tank. The Royal Enfield roundel is identical to the one on the tank of the Flying Flea. The Classic 500 Pegasus is powered by 499 cc, air-cooled, single-cylinder engine good for 27.5PS and 41.3Nm. The frame, suspension and tyres have been carried over unchanged as well. For those who missed the bus, here's a list of bikes that you could buy for roughly the same amount of cash.